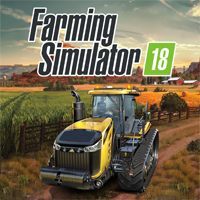 Farming Simulator 19 is a new installment of the popular series of farming simulators. This time, the authors decided to make a big step forward by introducing a completely new graphic engine, as well as three large open world locations. Farming Simulator 17 is another installment in the series of simulators of farm. This time, the game was published by Focus Home Interactive, but the development was still carried out by GIANTS Software, known from the previous parts of this series. The mechanics remain unchanged - the players become farmers, who need to take good care of their establishment. During the game, much attention has to be paid to the economic side of the management - the right equipment needs to be purchased, used for sawing, gathering crops, and moving the goods around. Traditionally, the player can control many different machines, all with official licenses from real manufacturers, and personally take care of various tasks in the field. The new installment obviously introduces some changes and novelties. 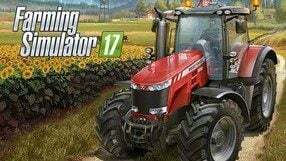 Contrary to previous games, Farming Simulator 17 was released on PC, XONE and PS4 simultaneously. A unique investing and building construction simulation game by Empyrean. You play as a businessman, who buys housings in need of renovation. As such property often features many nasty surprises, you have to refurbish, clean and furnish the flat, so that you can sell it for profit. This involves tearing down unnecessary walls, getting rid of any pests or fixing damaged wiring. 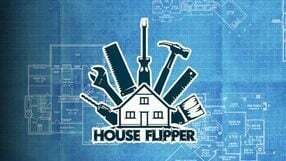 In House Flipper you use various tools, including an irreplaceable hammer. Furnishing the housing involves buying furniture and decorations, which you then have to put in proper places. 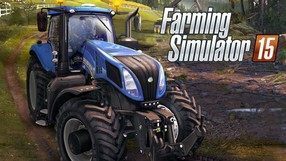 The sixth major installment in the popular farming simulation game series. The franchise makes a comeback to key gaming platforms after a year off, when only smartphone and portable editions were released. The developer, GIANTS Software, prepared another portion of innovations to enhance gameplay. The game lets you play in a new environment (Scandinavian), characterized by different landscape, weather conditions, and vast forests. This time players can cut down trees using specially designed, licensed machines. There is also a car wash, allowing you to keep your vehicles clean. Overall, the gameplay mechanics remained unchanged; as usual, your task is to manage a farm and expand it using the money earned from breeding animals and cultivating land. The sixth installment introduced the series to the eight generation consoles, bringing about significant visual improvements. 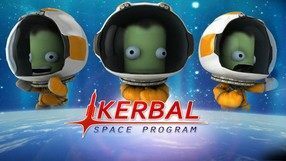 The third installment of a unique simulation series that begun in 2014, developed by Polish studio PlayWay. 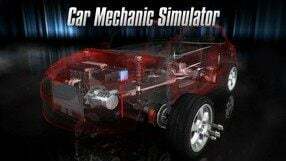 The player assumes the role of a car mechanic who attempts to promote themselves with a number of high-profile jobs. Our task is simple – find the issue, remove the individual parts to get access to the faulty part and finally replace it with a brand new element. The title is characteristic for its detailed, simulation-like gameplay. The authors introduced various helpful features, such as highlights for individual elements. Moreover, each vehicle can be taken for a test drive and repainted. The game is characteristic for its decent visuals, with faithfully-recreated models of over forty vehicles and an impressively detailed workshop. A simulation game based on the license of a Discovery Channel TV series. 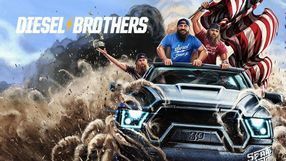 While playing Diesel Brothers: The Game, we look for wrecks and restore them to prime condition through numerous visual and mechanical modifications. The title allows you to play alone or in the company of three other players. 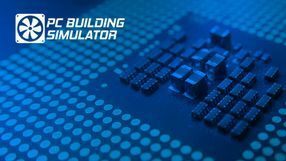 PC Building Simulator is a unique production that is more of a training app than a game, where we will try ourselves in building a Personal Computer or learning how to do so. It was created by a single Romanian programmer known as Claudiu. When we start our adventure with PC Building Simulator, we have a simple PC case at our disposal and we have to put the motherboard, the power supply unit, the GPU, and other PC components in the right place. After doing so, we will have to connect them with the right cables. The game uses a simple and intuitive interface. The creator of PC Building Simulator was authorized by the leading manufacturers of PC parts to use the likeness of their products. Thanks to that, we will use PC parts that we can actually buy in stores. A simulation game developed by independent Finnish developer who uses nickname Royal John Love. 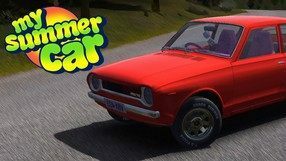 The title enables the player to repair old and wrecked cars as a fan of 90s cars, who one beautiful summer decides to fix his old sports car. When the game starts, the player has only a tractor and a van useful when transporting larger parts. The pieces ordered by mail must be installed while focusing on details like selection of proper tools and correct combination of all engine parts. The player can also improve the car’s performance and even install a modern audio system. Complete vehicle can be used to travel through the open world of the game that recreates many aspects of the hobby, including irresponsible ones like drinking beer while driving. An advanced farming simulator developed by Techland in cooperation with the independent studio Ice Flames. 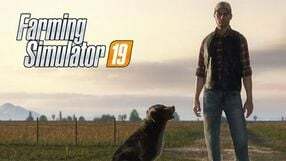 Similarly as in other games in the genre, in Pure Farming 18 the player assumes the role of a farmer who must maintain his farm. The task requires him to perform various field activities like planting and watering seeds, gathering crops and selling them. Funds obtained in that way can be used for improving the farm and buying new vehicles and farming machines. The game offers many innovative solutions and mechanics that were previously unavailable in other games in the genre. A simulator of a gold seeker. Developed by the Polish studio Code Horizon, the game gives the player an opportunity to travel to the cold regions of Alaska in order to excavate lodes of shining gold. 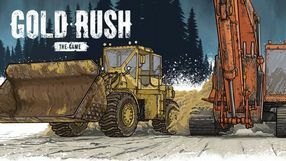 The player supplies their equipment with fuel and electricity, carries loads of soil using an excavator or a loader, cleans the material with a sifter and other devices, and ultimately picks lumps of gold with tweezers. The metal gathered is then taken to a blacksmith that can turn it into gold bars. The funds gathered are spent on upgrading one's machinery, as well as buying fuel and spare parts for the machines we own. The in-game seasonal cycle and the subsequent bad weather conditions may damage the player's equipment and sometimes even render them unable to continue excavation. A day and night cycle was also implemented - the player is capable of conducting work at night, but the necessary machines providing light use up precious fuel then, which also has to be taken into consideration. The game offers a complex tutorial for beginners, apart from the main Free Mode, which is an open-world component. In this latter variant, the player is free to develop their career, explore the game world, and discover its mysterious stories. A simulator that allows you to play the role of a farmer. Production offers an open world and a number of attractive mechanics, such as the possibility of repairing vehicles and renovating farm buildings. SimFabric studio is responsible for its creation. The publisher of the title is the Polish company PlayWay. A farming simulator developed by a German studio – Masterbrain Bytes. 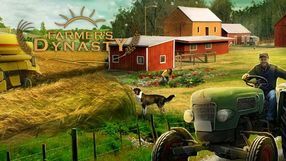 The gameplay revolves around running a farm, which requires the players to prove their skills in many agricultural fields. Because of the realistic weather system, on has to tend to sowing, soil fertilization and the crops’ condition – if, during a longer period of drought, one does not irrigate their crops, they will wither in an instant. 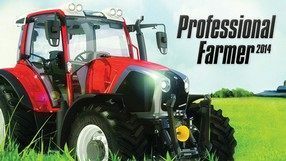 In order to handle the virtual farm in the most effective way, the players have to learn how to operate agricultural machinery (the vehicles implemented herein are counterparts to machines of such makes as Claas, Horsch, Dammann, and Mercedes-Benz). This is not easy – the bed’s condition affects how these vehicles behave. Animal husbandry, on the other hand, forces the players to take care of the feed, tidy the farmhouse, and prevent diseases. Luckily, with time the players are able to employ workers, who handle some of the responsibilities and at the same time gain experience, becoming even more efficient. Those among the players who are new to this kind of simulation games can make use of a number of facilitations and adjust the difficulty level according to their preference. 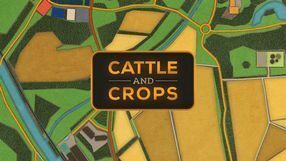 Apart from the single player campaign, Cattle and Crops offers a Sandbox Mode - in which one can manage his farm with no limitations - as well as a multiplayer mode allowing players to work together. 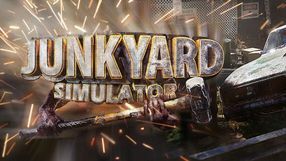 A junkyard simulator developed by Polish Rebelia Games. The player assumes the role of an owner of a small junkyard who attempts to develop his business through hard work. A polish simulation game, in which we play as the titular plane mechanic. 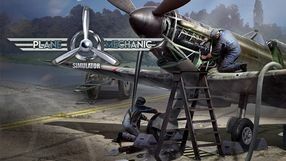 Plane Mechanic Simulator takes us to England in 1940. There are three British planes in the game, which we have to take care of in order to ensure the safety of their pilots, who are taking part in the clashes against the forces of the German Luftwaffe. A sequel to the unique simulation game developed by Polish studio Red Dot Games, whose first edition, released for PC and mobile devices, proved to be a big commercial success. Once again, we assume the role of an owner of car workshop, and our task is to build a good reputation by repairing customers’ machines. Unlike the previous installment, this game offers randomly generated missions, and limits the amount of time we are given to complete them. 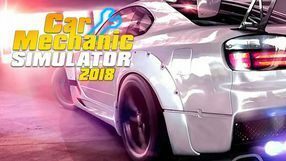 16 car models are available in the game, each of them consisting of more than 200 interactive parts that need to be checked to identify the fault. In addition to the typical repair jobs, we can also carry out tasks encompassing visual and mechanical tuning, as well as - a new addition to the series - renovation. The cars we acquire on special auctions can be restored and either sold for profit, or kept for our own use, thus building our own unique collection of vehicles. A simulator, in which the players assume the role of constructors of various vehicles like cars, trains, helicopters, planes, and space shuttles. 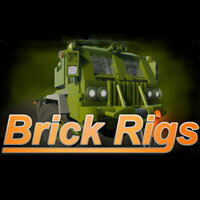 In Brick Rigs the constructions can be tested in multiplayer battles with other players. The designs can be also shared with other users. A simulation game developed by German company Aerosoft. In Emergency Call 112 - The Fire Fighting Simulation the player assumes the role of a firefighter posted to a fictional city, which is open for exploration. As you play, you take part in a various rescue operations – starting with road accidents, through cleaning toxic spills, to putting down fires of houses and industrial compounds. Each crisis is generated procedurally and may take place both outside and inside buildings. In your work you make use of a variety of tools (such as hoses, mobile lifts and ladders), but the success depends not only on the proper use of equipment at hand, but also on the coordination of your entire team. 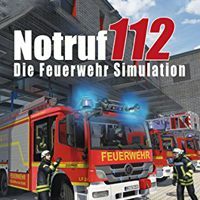 The characteristic feature of Emergency Call 112 - The Fire Fighting Simulation is its far-reaching realism – the game developers consulted firefighters from Mülheim, Germany, which helped them faithfully recreate the equipment and vehicles (spearheaded by LF24) used by them. As for graphics, it may not be the game’s biggest strength, but the players may like the design of firefighters’ trucks and the realistic way in which the fire spreads. 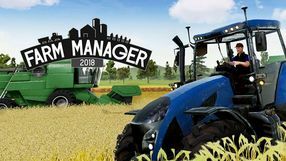 Farm Manager 2018 is an economic strategy game developed by the Polish developer Cleversan Software. In the game, the player gets to assume the role of a modern farm manager and is tasked with planting over twenty types of crops, taking care of the plants, and harvesting what he sows. There is also the option to breed animals. With time, the player gains access to the premade products, which they can use to improve their production processes. Moreover, one can hire additional workers and a wide range of agricultural machinery. To properly manage one's farm, they also has to erect buildings and pay attention to changing weather conditions. Everything has to be balanced in order to properly manage income and costs. 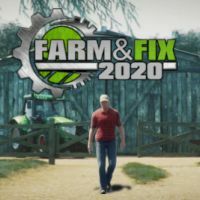 The game offers a single player campaign comprising separate scenarios with particular tasks to accomplish, as well as a free mode, in which one can develop their farm without any limitations or predefined assignments. An advanced railway simulator developed by Dovetail Games, a developer known from the popular Train Simulator series. Train Sim World: CSX Heavy Haul follows in the same vein, yet is treated as a separate project based on new technology. Unfortunately, this means that the title is not compatible with numerous add-ons released for the Train Simulator series. As always, the gameplay involves controlling various railway engines and traversing numerous railways found all around the world. Moreover, the players can create their own tracks thanks to the included editor. The game contains both single and multiplayer modes. Interestingly enough, the game is powered by Unreal Engine 4, an engine used in titles such as Final Fantasy VII Remake, Days Gone, or Gears of War 4. As a result, the new incarnation of the railway series received multiple fixes, as well as improved graphics and physics. 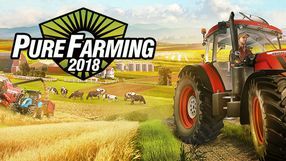 Another installment in the annually released farming simulator series developed by GIANTS Software. This time, however, the creators decided to develop a game exclusively for handheld devices like PS Vita or Nintendo 3DS. In terms of mechanics, Farming Simulator 18 highly resembles the previous installments, especially the handheld version of Farming Simulator 16. The game sees the players running their farms in an attempt to make a profitable business out of it. To achieve this, the players have to take care of a number of things, such as soil and plant cultivation, harvesting and selling the crops, and finally the successive development of the farm. Farming Simulator 18 does not lack the series’ representative feature, namely a wide range of licensed agricultural machinery of the world’s top makers, which are available for the players to utilize while working in the field. 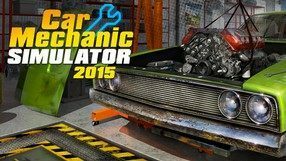 Another mechanic simulator published by PlayWay – a studio known for publishing such games as Car Mechanic Simulator, Train Mechanic Simulator, and Space Mechanic Simulator. The game has been developed by Degenerals and allows the player to assume the role of an owner of the museum exhibiting tanks from the period of World War II. The gameplay is divided into several stages. In the first stage, one has to search for a machine, gather information on it, assemble a team of technicians, and set off to acquire the desired machine. The search area can be covered with an off-road vehicle, and after finding the wreckage, it has to be excavated and transported back to the museum using special equipment. 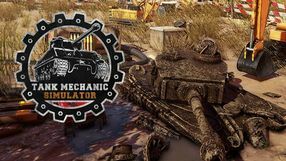 Another stage focuses on renovating the acquired tank - the player has to remove the rust, replace all the damaged components, etc. In order to do this, one has to disassemble the entire vehicle, and after thorough cleaning, repainting, and replacing all the necessary parts, put it back together. Finally, the tank lands on the display at the museum and the player has to place info notes with interesting facts around the new showpiece. After that, one can start another assignment. Tram simulator on the streets of Düsseldorf, Germany. The game allows you to play the role of a driver and take a seat in the cabin of a B80D wagon driving on the U78 route. An additional attraction is the ability to create your own tracks using the built-in editor.